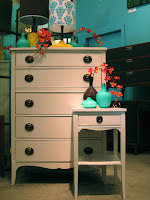 One of the very first furniture stores I visited on Chicago was White Attic in Andersonville. I adore this store. 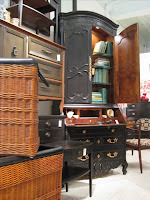 Filled to the brim with refinished vintage pieces from the 1900s to the 1960s. 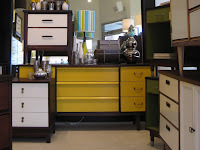 The folks at White Attic give new life to all kinds of treasures that someone else might overlook. 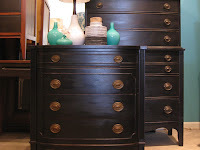 Their painted finishes are superb and often in surprising colors from lime green to bright turquoise.